Are purebred brachycephalic (a breed which has a relatively broad, short skull) dogs being taken advantage of for a profit? Pugs, English Bulldogs and French Bulldogs are purebred for their specific facial features and their 'cute factor'. The unethical overbreeding of these animals has risen in the last few years. Howl To Help Animal Advocacy Group spoke to NQ Reporter Sarah Kerrigher in support of the Pets Not Profit #BanBackyardBreeding campaign. The majority of the unethical overbreeding of dogs comes from breeders who are desperate to make a profit – and make it fast. The biggest profits tend to come from purebred dogs – and dogs that are bred for specific traits, like bulldogs and pugs. With these dogs comes the biggest profit, with English and French bulldog puppies making it to the top of the profit list, selling on sites like ‘Pets4Homes’ and ‘Gumtree’ for up to the likes of £7,000, which if you consider the average litter size for these breeds being around 4-5 puppies, is a considerable amount of money made. The Kennel Club's research in 2017 showed that 50% of Pugs, English Bulldogs and French Bulldogs have significant breathing problems, and only 7-15% of them breathe like a normal, non-brachycephalic dog, caused by their narrowed, constricted airways, pinched nostrils, and shortened, squat necks, exacerbated by the obesity which is common in all three breeds. A survey conducted by the British Veterinary Association this year revealed that 49% of vets thought advertising and social media were among the reasons behind the surge in ownership of these dogs, while 43% said celebrity ownership was one of the driving factors. It is apparent that most backyard breeders do not take this into consideration when breeding these specific types of dogs, and their health is not the priority – this is a factor that would be changed with tighter laws surrounding breeding of dogs, and more awareness being spread amongst potential buyers and the general public. Pugs bred for their specific facial features. I spoke to the organisation in Pennsylvania, USA ‘Howl To Help Animal Advocacy Group’ where dog breeding regulations are much slacker than here in the UK, “I live in PA where puppy mills are a huge business. I think awareness is key. People are still not aware of the horrific conditions of the animals that are being bred. They walk into pet stores, see adorable puppies and it’s not registering where they originate. There needs to be much more education. Perhaps videos in shelters. What is our government doing to address this? Where do they think all the Pitbull’s are coming from? It’s time for more animal-friendly politicians to risk losing their jobs to stand up to big businesses like the AKC (American Kennel Club) and really stand up for what is right. I love Pitbull’s and hate discrimination against any breed, it’s time to take a serious look at putting a ban on breeding that particular breed in order to save it from abuse, and those who are looking at profiting from exploiting the breed and putting it in the hands of dangerous people and situations. The only thing that will help is much more media exposure and education about all of this." "I'm really sick of people still profiting at the expense of animal abuse". A quote in which sums up unethical backyard breeders in one. You can find links to the Howl To Help Animal Advocacy pages, on Twitter and Facebook. 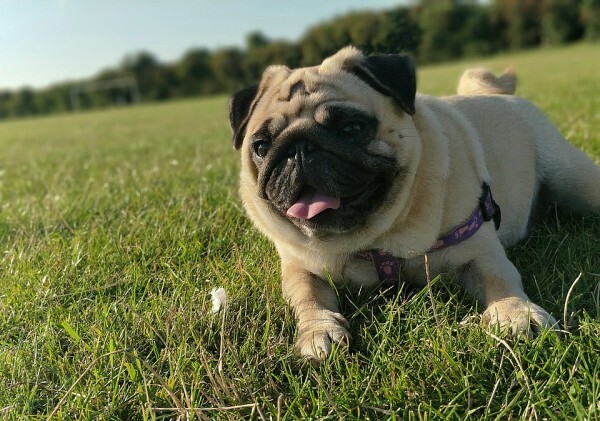 It is apparent that more awareness needs to be raised amongst the public about buying specific breeds, and for thorough checks to be carried out, specifically when it comes to brachycephalic breeds like bulldogs and pugs. To help raise more awareness and in the future encourage the government to enforce tighter breeding regulations in the UK, please sign the Petition, and follow the Twitter and Facebook pages for constant updates on how the campaign is going.